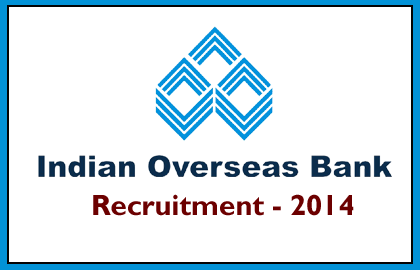 Indian Overseas Bank has announced openings for the post of Specialist Officers; eligible candidates can apply online from 15/10/2014 to 07/11/2014. More details regarding this recruitment were mentioned below. Any Graduation or equal qualification. Selection Process:Candidates will be selected on the basis of the performance in the personal interview. Online mode– Payment can be made through internet banking or debit card/credit card. Take the e-receipt for the future usage. Offline mode– Payment can be made by means of cash through system generated challan at any of the IOB branches. Candidates must note the Unique Transaction ID for the future usage. 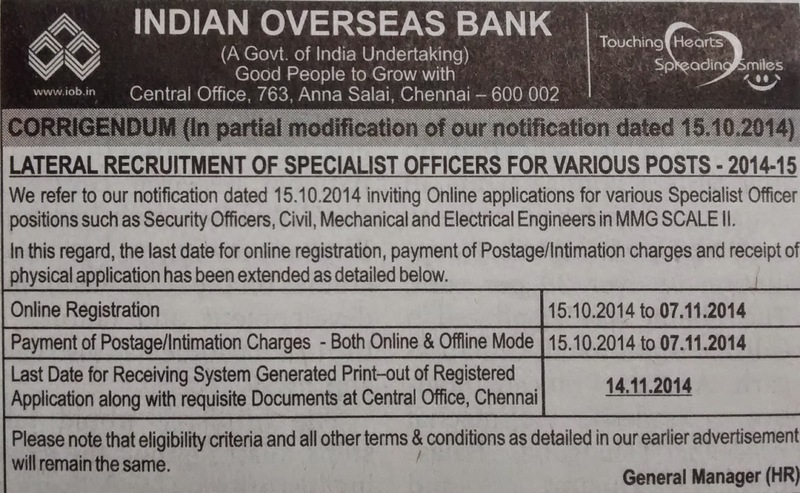 Documents should reach on or before 14/11/2014.